Limited edition design only available for 2 weeks! All styles in the drop-down menu. 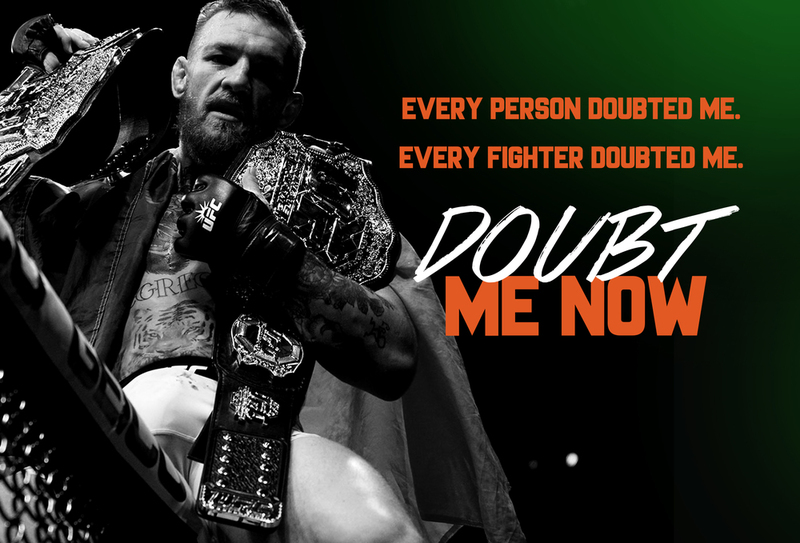 Combining the elements of his proud Irish heritage and post-fight quotes, Conor McGregor's Doubt Me Now gear is as bold and striking as the champ himself.